Social games are often addictive like gambling but so far, they don’t generate nearly the same kind of revenue. But that’s about to change. Betable, a UK-based startup, is introducing a platform that allows developers to easily add real-money gaming into their apps. The company is announcing a private beta developer program and plans to open the platform to all developers before the end of this year. Betable, which also has a San Francisco office, is also revealing a large seed round with participation from Greylock Discovery Fund, FF Angel LLC, True Ventures (see disclosure below), Dave Morin and Yuri Milner. The Betable platform could provide a huge lift to social game developers, who eke out about $1 a month from the average user, good for $2 over the lifetime of that user. But it is also likely to prompt a lot of debate about the dangers of gambling and the increased potential for abuse, possibly by younger users. Betable is projecting that developers who use its platform can expect to make $300 a month from the average user and get $1,800 of customer life time value from them. It’s that kind of huge payoff that is also motivating companies like Zynga (s znga) to explore real-money gaming. Zynga confirmed earlier this year it is talking with partners, including Wynn Resorts, about introducing gambling into its games. Facebook (s fb) has also been reportedly exploring the idea of real-money gaming. Betable won’t work initially in the U.S., Turkey, China and Holland, where it needs to secure a license. But it says it is good to go in all other countries, thanks to the work it has done to obtain the necessary licenses for online gambling. The company originally launched in 2008 with the intention of making it easy for people to bet on anything. But Betable’s founder and CEO Christopher Griffin saw a bigger opportunity in using its licenses to help social gaming developers take on entrenched online gambling companies. Griffin said Betable could technically work in the U.S. but they’re waiting to see if the U.S. will offer its own license. Delaware last month officially approved online casino gaming. That came after the Department of Justice updated the Wire Act of 1961 in January, essentially allowing states to authorize online gambling. Betable offers a gambling back-end that connects to new and existing games using its APIs. 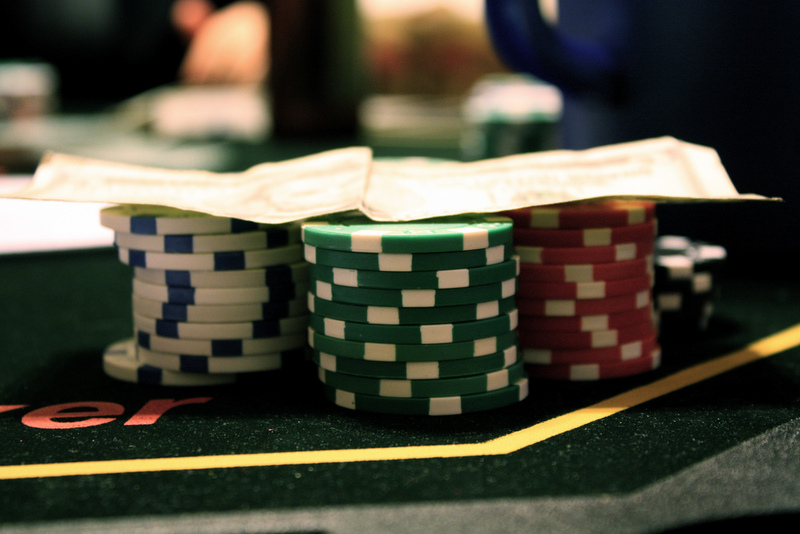 Developers can choose to allow players to bet against the house or against each other. And they can also hook up gambling into Farmville-like games, swapping in a slot machine mechanic when users want to buy goods. Griffin said the first games to utilize Betable will likely be casino titles but he said any type of game can be hooked up to Betable. Betable will take a share of the revenue generated from the gaming. Griffin said developers could try to obtain the online gambling licenses necessary to operate in various countries, but it’s painstaking work that can take years. But with less than an hour of integration work, they can be up and running, making potentially a lot more money than the traditional method of in-app sales of virtual currency. He said the typical conversion rate in social games is 2 percent; for online casino games, it’s often 40 percent or more. “The social gaming guys recognize that simply having tons of users with the economics in the space being what they are, does not necessarily make for a great business long term and so they’re looking for new ways to monetize their enormous user bases,” Griffin said. But the move to open up social games to gambling will surely raise concerns about increased gambling addiction. There are already concerns about how easy it is to buy virtual goods on social games. But adding in an element of real-money betting could end up costing users a lot of money and could tempt more people into gambling that might have otherwise avoided it. Griffin said Betable employs a lot of safeguards to protect users from fraud and prevent underage users from playing. The company will also utilize machine learning technology that analyzes user behavior to identify problem behavior. But Griffin said people who have a gambling problem are likely already engaged in the activity somehow. I’m a little torn by the introduction of real-money gambling into social games. On the one hand, it’s got a chance to provide a big boost to developers, who are looking for ways to make more money from their users. But I’m also worried about the effect it will have on many gamers, who will suddenly find gambling is a costly habit. I hope they tread cautiously. Could be tough for this to work without substantial efforts in terms of educating and promoting the developer community. Its an excellent idea if they can get the traction with some major gaming communities. Truely, I am not surprised, I figured they would have had this out when apps were made.